Rick's Pocono Blog: Back to the 50s Party in Arrowhead Lakes! $12.00/person if you purchase your tickets at the door. Royal Gourmet Foods is catering this event. The menu will include your choice of either a flame broiled hamburger, 2 grilled hot dogs or a chicken leg quarter, in addition to baked beans, potato salad, pasta salad and a can of soda or bottled water. Swing the night away with DJ Chad Liero from 7:00PM-11:00PM. We encourage you to dress in 50’s style (poodle skirts, bobby socks, pony tails, saddle shoes, loafers and blue jeans), but this is only optional. June 4, 2012 through June21, 2012. Pre-purchasing your tickets is highly recommended! Arrowhead Lakes Community is full of fun and Amenities. The Community Amenities seem to be endless including 2 Large Lakes ( 260 Acre and 90 Acre), 4 Beaches, 3 Heated Swimming Pools, 7 Tennis Courts, 5 Boat Launches, 2 Sets of Basketball Courts, Volleyball Court, and Horseshoe Pits. There are Picnic Facilities at all Pools and Beaches with tables and grills. There is an abundance of wildlife to see so get your cameras ready! Checking into Arrowhead Lakes you can expect to see Whitetail Deer, Wild Turkeys, Chipmunks, Black Bear, Foxes, Owls, Turtles, Racoons, Woodpeckers, and much more. Arrowhead Lakes also backs up to Bradys Lake State Gamelands, and The Community offers its very own entrance to these Pa State Gamelands. 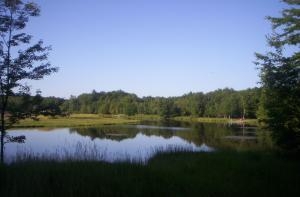 Bradys Lake is a 21,000 Acre Span of Gamelands offering its own Lake and Recreation Area.